I would recommend them. They do a good job. I like my doctor. They use super up-to-date machines to do eye testing and whatnot. It was easy, and I didn't have to wait. I felt like I was well taken care of. They're very skilled and very thorough. They are conscientious in their work. I liked everything about them. My experience there was very good. They went above and beyond. The doctor was extremely giving of his time, and he was very helpful. I liked Dr. Lassa and how helpful he was. The staff is nice too. Mt. Tam Optometric Center provides a wide range of eye care services for all types of patients (including children) at its San Anselmo facility. 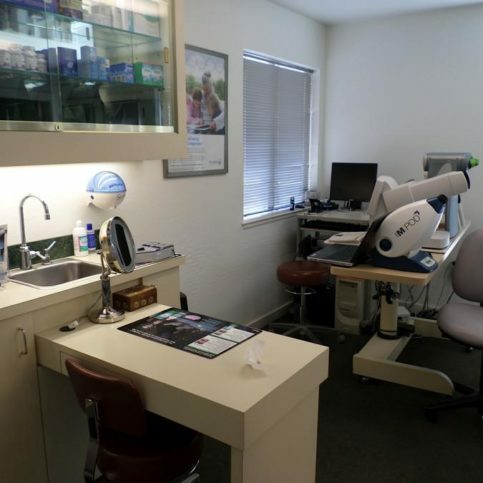 In addition to performing comprehensive eye exams and fitting patients with contact lenses and eyeglasses, the practice has the in-house capabilities to evaluate, monitor and treat eye diseases; co-manage patients’ LASIK surgeries; provide neural training that’s designed to improve vision; and more. Mt. 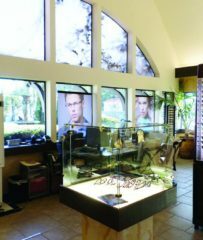 Tam Optometric Center offers a comprehensive selection of eyewear products at its San Anselmo facility. Mt. 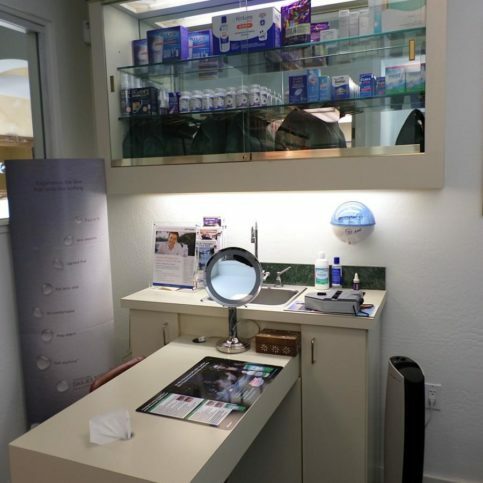 Tam Optometric Center has been providing eye care services for all types of patients (including children) at its San Anselmo facility since 1991. 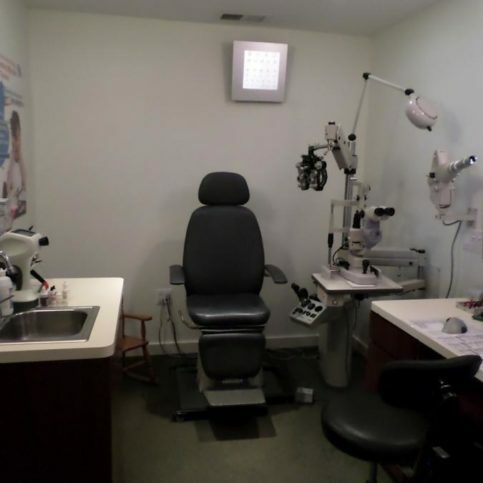 In addition to performing comprehensive eye exams and fitting patients with eyeglasses and contact lenses (including hard-to-fit lenses), the practice has the training and equipment to evaluate, monitor and treat eye diseases; provide vision-improving neural training; co-manage patients’ LASIK surgeries; and more. Q: Do you offer emergency eye care? A: Yes, we’re on call 24/7 for emergencies. If you have a medical emergency when our office is closed, you can call our answering service and leave a message, and we’ll get back to you as quickly as possible. A: We’re on almost every medical PPO plan and all the major well vision insurance programs, including VPS and I-MED. Call us before you come in and we can determine if our services will be covered by your insurance plan. Q: What are my visual needs? A: That depends on your lifestyle. A person who looks at a computer for 10 hours a day will have different visual needs than a person who works outside all day. 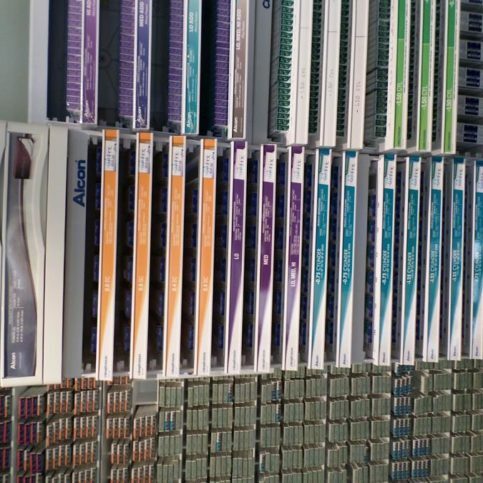 We’re very familiar with the wide spectrum of visual needs, and we’re creative when it comes to finding solutions that will provide the results our patients are looking for. Q: Will you have to dilate my eyes during my exam? A: In most cases, we don’t need to dilate our patients’ eyes, but if we do, we’ll give you extra information before proceeding. 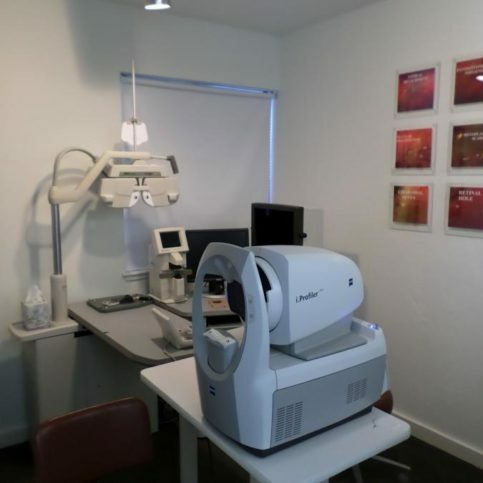 Most of our patients choose the Optomap Retinal Exam option, which allows us to perform an eye exam without dilating the eyes. Q: What can I do about dry eyes? A: Dry eye is an endemic problem that has gained prominence in recent years because of an increase in computer usage. There have been some major changes in the field recently—before, people had to rely on lubricating eye drops, but since we now understand the causes behind dry eye, we can often treat it at the physiological level. Q: Am I a good candidate for LASIK surgery? A: That depends on several factors, but we’ll work with you to determine if you’re physiologically ready for LASIK surgery. 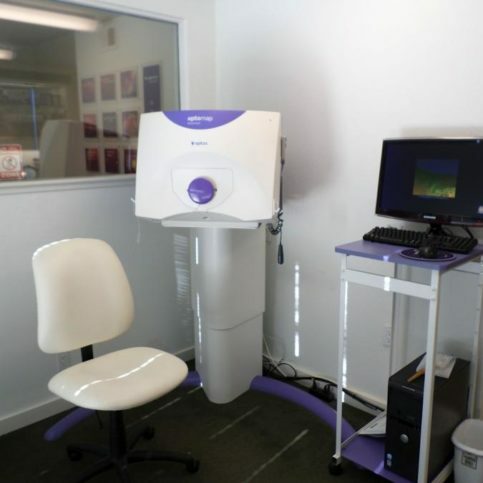 We work with more than 15 laser centers, so we know which ones can provide services that match your needs. 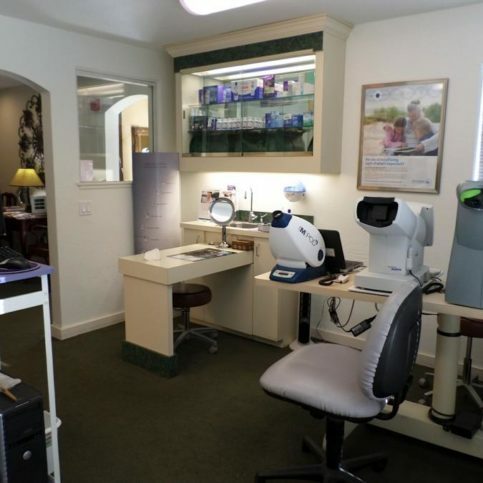 Dr. Lassa Frank is a 30-year veteran of the eye care industry and owner of Mt. 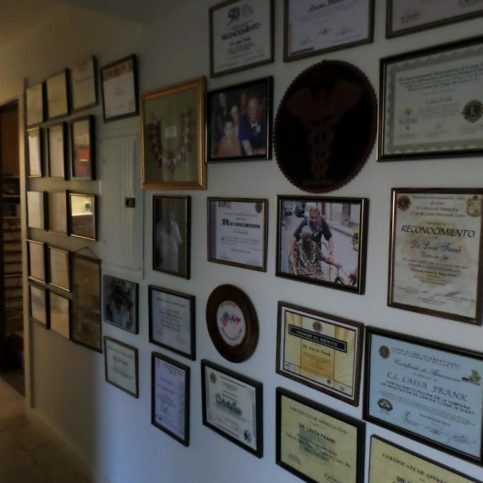 Tam Optometric Center, a Diamond Certified practice since 2013. He can be reached at (415) 843-1986 or by email. A: Café Lotus in Fairfax. A: The future. I’m a pretty optimistic person, and I think some pretty amazing things are going to be accomplished going forward. A: Relax by the fire and read a good book. If you determine that the lens is still in, the next step is to put a lubricating drop in your eye. Wait a minute to let the drop do its work, then pinch the lens through your eyelid (with your eyes shut) to break the adhesion between the lens and the eye before attempting to remove the lens as normal. You may need to repeat this step two or three times. If you’re still unable to get the lens out, the next step is to attempt removal while wearing a latex glove, which will adhere to the lens upon contact. Powder-free is best, but if you only have powdered, simply rinse the glove with clean water before using. If you’re still unable to get the lens out, call your eye care professional as soon as possible. The first thing I always want to do is figure out if you really still have the contact in there. So, cover the other eye, look to see if you can see, what you should expect to see with the contact in. If, in fact, you can, then the next step is to put a lubricating drop in each eye. Wait a good minute before you go in, and the next step is to pinch through the lids and break that adhesion. You might need to do this two or three times, and then go ahead and try to remove the lens like you normally would. If at that point you still can’t get the lens out, the secret weapon is latex gloves. These stick to contacts like you would not believe. Powder-free is always preferred, but if you can’t find one of those, if you just rinse the glove under some clean water, you’ll be good to go. Good luck with that, and remember if at that point you can’t get the lens out, call your eye care professional immediately. Mt. 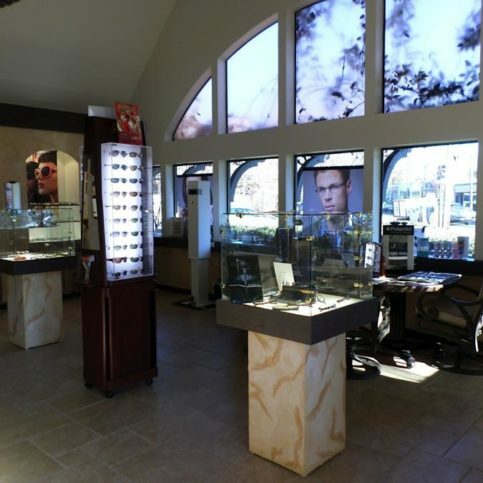 Tam Optometric Center : Average 9.1 out of 10 based on 200 unique customer surveys of customer satisfaction. He covers all the basis. He even found something my previous doctor didn't. Besides being very thorough, he is very personable. His staff is excellent as well. He listens and is always looking out for my best interest. For me it is convenient and he does a good job. I have already recommended him a few times. I thought I was loosing my eyesight. Turned out I have a very dry eye condition that would make my eyes hurt and blurred vision. He fixed it for me. He is very laid back, very frank and he doesn't beat around the bush. He is really good and does the very best eye exam I have ever had. The quality of the eye exam and the analysis, I have had detached retina in the past so he always gives a thorough exam. 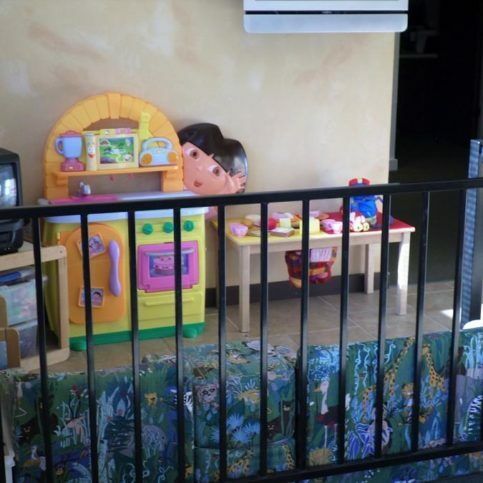 Very friendly and very knowledgeable, the service was very good. The customer service was good as well as his bedside manner. It was a good experience for me. The customer service was really good and they were very warm and friendly. I would tell them my husband had a very serious eye problem with his retina. Dr. Frank went out of his way to help my husband. Dr. Frank was so nice to my husband, I never have forgotten that. He is the best eye doctor. He is professional, he knows exactly what he is doing. He has a great personality and a sense of humor. He is very comforting. He knows what he is doing. I feel confident knowing that I have the best doctor around when it comes to something so important as my eyes. I would tell them that I have the best guy. you have to go see him. He has all the latest toys and he knows his stuff. That he has all the latest and knows what he is doing. He is knowledgeable which is obviously number one. Right up there is the customer service and his personality. He doesn't make you feel like you are out of there in 15 minutes, also very important, his staff and customer service. He is proactive, bright and up to date. He goes out of his way to offer that. They have a really nice store, great selection, nice doctors and employees. They are really the only optometry company I like to go to. 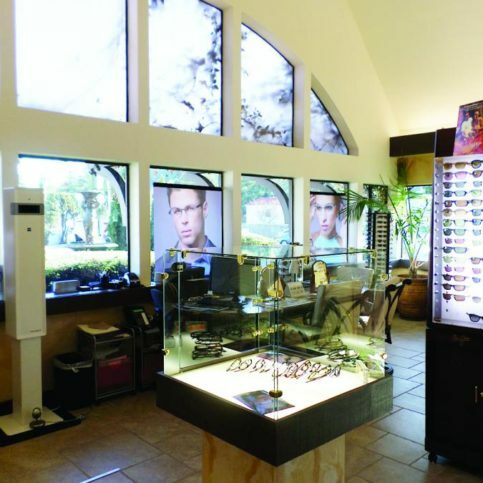 They have a great selection of frames and contacts. They are very friendly and competent. It's just a nice place to go. Everyone is helpful and warm. If you have any questions they answer, very efficient. Ella had several followup visits and he only charged us $5 per follow-up visit. They have a great choice in frames and great customer service. They are a one-stop shop. They have the latest up to date diagnostic equipment. They are very conveniently located.